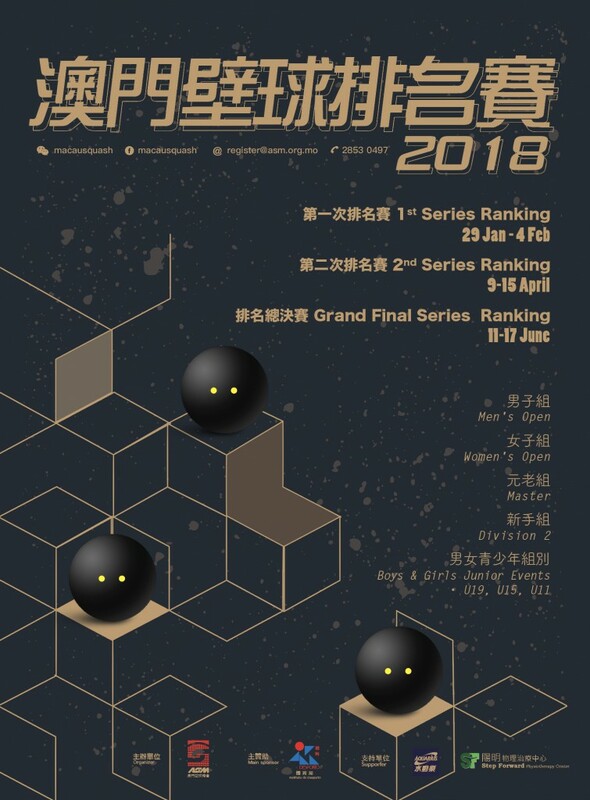 Macau Squash 2nd Ranking Tournament 2018 will be held on 9th April to 15th April at Cotai Bowling Center. For those who are interested, please submit your form via email( register@asm.org.mo) or fax( fax no. :28530497) before 5th April . Entry Forms can be downloaded at our website: http://asm.org.mo/. If you have any questions, please do not hesitate to contact our Operation Officer Mr. Min Li for further details. Thank you!